Featuring its iconic counters lined up along the same horizontal axis, an exclusive feature of Eberhard & Co, the famous Chrono 4 adopts an even sportier look this year in its original 40 mm steel case. The black counters creating a tone-on-tone effect with the dial are lit up by contrasting silver-toned rings echoed by the Arabic numerals that stand out against the hollowed luminescent studs. 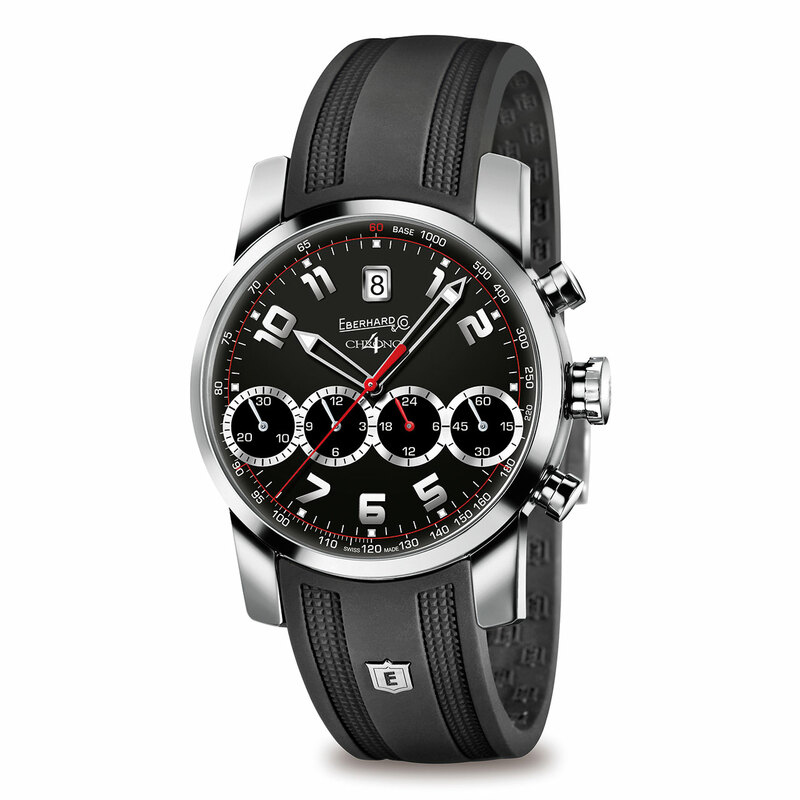 The chronograph sweep seconds hand lends a very dynamic touch of red also featured on the 24-hour counter hand.